Driving is dangerous, but very few people realize that or take it as seriously as they need to. Unfortunately, it’s when an accident happens people wish they had taken their driving skills and safety more seriously. While driving is dangerous on its own, it becomes even more dangerous when the sun goes down. 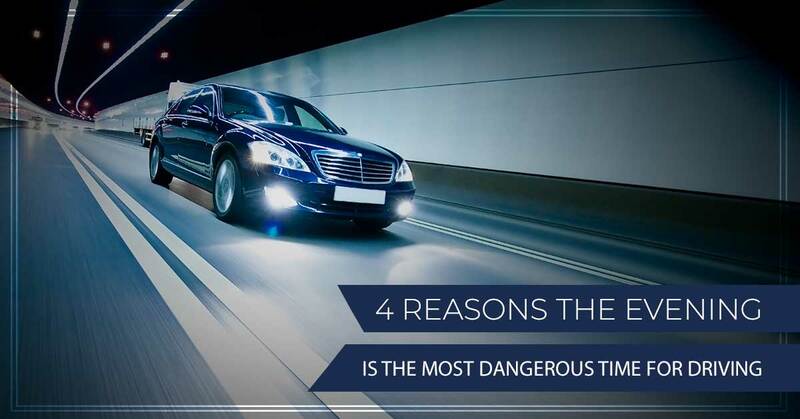 Keep reading to discover a few of the reasons that driving at night is so much more dangerous. Without a doubt, one of the primary reasons that driving in the dark is so dangerous is because it’s difficult to see. Too often we feel that our car lights are ample lighting to get us to our final destination, but how much light do they really provide you? While your lights do make it easier for you to see the road at night, they’re only able to brighten up so much of the road. The road is going to be the primary thing that you want to be able to see, but it’s far from the only thing that you need to be aware of. A lot of the dangers that you need to be cautious of are going to come from off the road as well, but we’ll touch on those down the road. Oklahoma has quite a bit of wildlife, and while it’s something that you can enjoy during the day, it can be extremely dangerous to come across during the night. One of the leading causes of accidents during the night are animals running out into the road in front of a car. Unfortunately, there’s no real way for you to remove the chances of coming across wildlife at night. That being said, the best way to ensure that you’re not endangered by the chances of crossing wildlife while driving at night is by paying attention to your surroundings and drive according to the circumstances. When the sun comes down, our bodies are ready to go into rest mode. Even after working to switch your schedule so that your body is accustomed to being awake at night, the dim lighting causes a reaction in your body that leads you to feel tired. What would you say if we told you that 21 percent of fatal accidents were due to a tired driver? That’s quite a bit! If you’ve ever driven while feeling sleepy, you know how dangerous it can be when you start to fall asleep. In the case that you are planning to drive at night, make sure that you have plenty of ways to ensure you don’t fall asleep. Driving too fast for conditions is something that you can get ticketed for, and it doesn’t require much for that to happen. We touched a little bit about how the lights of your car can make you feel like you’ve got a good line of vision while driving, but there’s so much that’s going unseen. No matter how great of a driver you are during the day, it’s important to recognize that there are plenty of dangers that are specific to nighttime driving and that you’re equally as vulnerable to them as any other driver. Avoid the chances of an accident happening because of overconfidence while driving by simply taking all of the precautions that you can and driving according to the factors at the moment. While you can take all of the precautions available, there’s always a chance of an accident. If you find yourself in a personal injury case, you can count on the team at The Edwards Law Firm. We have years of experience providing individuals in the Tulsa area with the support and guidance that they need to get the compensation that you deserve. Contact our team today and let’s get started on building your case.